Keeli Edwards received her MFA from the Edinburgh College of Art, Scotland and has been a practicing artist in Ireland, Scotland, Canada and the United States. Her work is on display as part of permanent collections at the Edinburgh International Conference Center, Scotland, St. Martin-in-the-Fields Anglican Church, Toronto, Canada and First Presbyterian Church, St. Cloud, Minnesota. She has participated in numerous public art exhibitions, including the Deutzer Brücke Dudelsack exhibit in Cologne, Germany, and various group shows in the Royal Scottish Academy, the Minneapolis Institute of Art, the Scottish National Poetry Library, the Great River Arts Center of Little Falls, MN, the Atkinson Gallery in Somerset, England, and the Daegu City SM Gallery in South Korea, among others. Her work typically explores social, spiritual, environmental and sacramental themes related to water and plumbing systems through installations of various media: found plumbing objects, light, sound, music, photography and film. While working on her master’s thesis, she studied the iconography of sink, bath and street drains, as well as water utility markers, in various locations in Europe and North America. 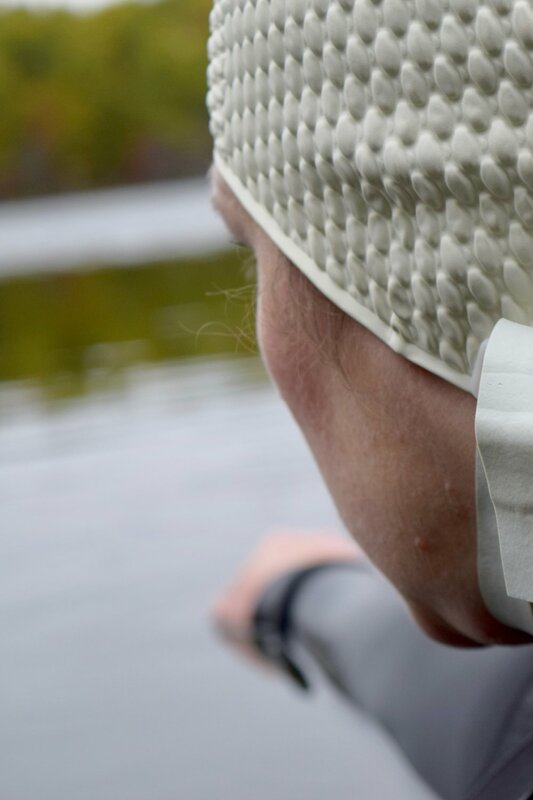 A sensory art installation including a film dealing with the healing aspects of water, particularly swimming across the lake at sunset as ritual. The film is seen from the perspective of the swimmer. The installation features a foot bath of lake sand for viewers to rest their bare feet while watching the film with headphones to isolate sound that includes originally composed music with breaths between swimming strokes evoking courage, hope, solitude and focus.